Earlier this week, the Ministry of Electronics and IT said that over the past two years, digital payment transactions have registered tremendous growth in India. As per data released by the Reserve Bank of India (RBI), last month, digital payments in the country reached an all-time high of 965 million transactions. New payment modes have transformed the digital payment ecosystem by increasing person-to-person (P2P) as well as person-to-merchant (P2M) payments. Payment methods like the Bharat Interface for Money-Unified Payments Interface (BHIM-UPI), Aadhaar-Enabled Payment System (AEPS) and the National Electronic Toll Collection (NETC) have helped popularise digital payments and made payments easy to use and track. The Unified Payment Interface was developed under the Digital India initiative and is run by the RBI. The UPI is a system that powers several bank accounts into a single mobile application (of any participating bank), merging several banking features. The AEPS is a bank-led model that facilitates online interoperable financial transactions at PoS (Point of Sale or micro ATMs) through the business correspondent (BC) of any bank using Aadhaar authentication. Aadhaar cards are 12-digit unique identification numbers linked to a citizen’s basic demographic and biometric information. According to the National Payments Corporation of India (NPCI) website, the National Electronic Toll Collection (NETC) program was developed to meet the electronic tolling requirements of the Indian market. It offers an interoperable nationwide toll payment solution including clearinghouse services for settlement and dispute management. A press release stated that the number of digital payment transactions rose to nearly INR ₹245 crores (about US $33.5 million) in August 2018 as compared to almost ₹80 crores (around US $10 million) October 2016. In 2016, The Government announced a ban on old IN ₹500 and IN ₹1,000 notes, to curb black money in the system. The Ministry claims this move has encouraged the adoption of digital payment methods. 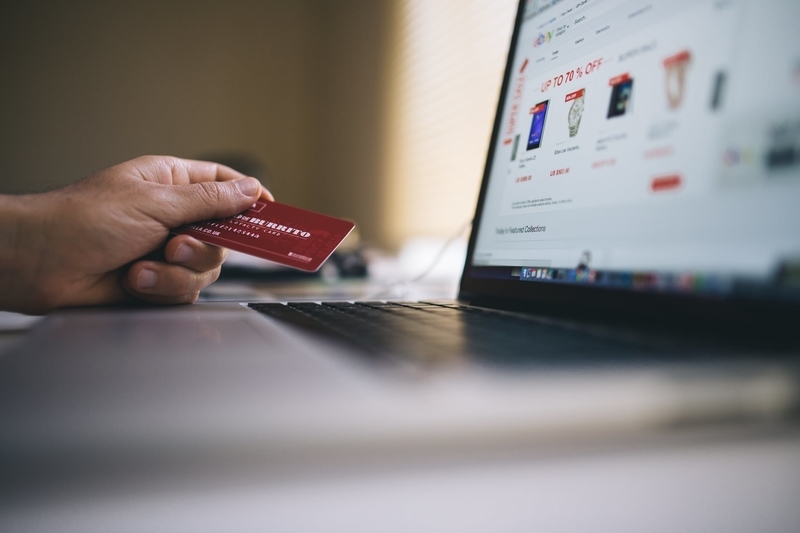 More citizens from smaller towns and cities are using online payment modes for goods and services. Payment company executives say that card transactions in towns with populations of up to one million have doubled since demonetisation, two years ago. The release also noted that existing payment modes such as debit cards, credit cards, Immediate Payment Service (IMPS) and Pre-Paid Instruments (PPI) have registered substantial growth. For the first time, the number of monthly transactions under the BHIM-UPI during September of this year surpassed those of any other existing payment mode. 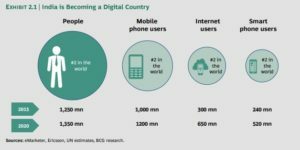 According to a report by Google and the Boston Consulting Group, the digital payments industry in India is estimated to reach US $500 billion by 2020, contributing 15% to India’s GDP. The report said non-cash payment methods will, including cheques, demand drafts, net-banking, credit and debit cards, mobile wallets and UPI, will double to 40%. It noted online payments are convenient and this is the biggest factor responsible for the growth of digital transactions in the country. This is followed by the offers and discounts available while using digital payment methods. 75% of Indian merchants expect digital payment methods will accelerate future sales, the report said.